This page will highlight some of the different console revisions and their differences. This version comes with 2 attached controllers, an attached power cord and RF cable. Grips03 are selling RGB kits there. 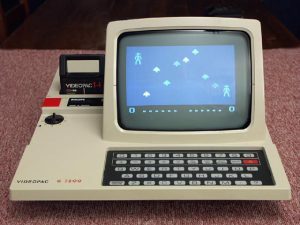 You will be able to play RGB on NTSC but you won’t be able to play Videopac + games (see below). … or to get the Analogue Nt Mini with Kevtris custom firmware. 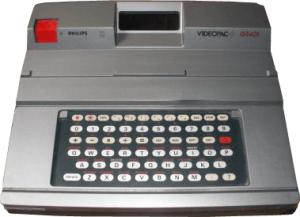 In the UK, Philips came with a special version of the Videopac called the 7200. This is essentially a G7000 with a built-in RGB screen. Radiola did the same with its Jet 27 and Schneider with its G7200. There has also been another version called the Philips N60. Also being called G7400, this version has several improvements from the Odyssey²/Videopac. It features detachable cables and pads, a more powerful CPU but also it displays RGB natively! It was compatible for 7000 games and some got some enhancements with the 7400, similar to GameBoy/GameBoy Color games. Unfortunately for the US, an Odyssey³ never hit the market. Like for the other models, Schneider launched its own version with the G74+ and the Radiola with the Jet 741. 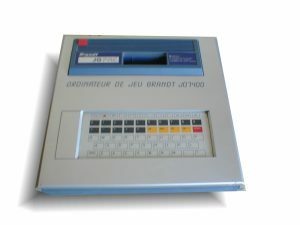 Brandt is a French company which took just the architecture of the 7400 and released another case, rebranded it and even released unique games of the 7400 systems. 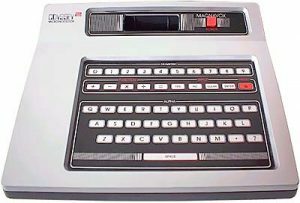 The name of the console was Jo 7400. The JOPAC did get another branding though by Continental Edison, also known as the SABA machine, called the JO1450. – videopac.org and Wikipedia for the information on the different models. – Grips03 from AtariAge to make an RGB board. Magnavox Odyssey 2 Console with Voice ORIG BOX - SEE PICS! Vintage Magnavox Odyssey 4000 Game Console Original Box WORKS with Game switch!! Magnavox Odyssey 2 System Console + 7 games + 2 controllers! !